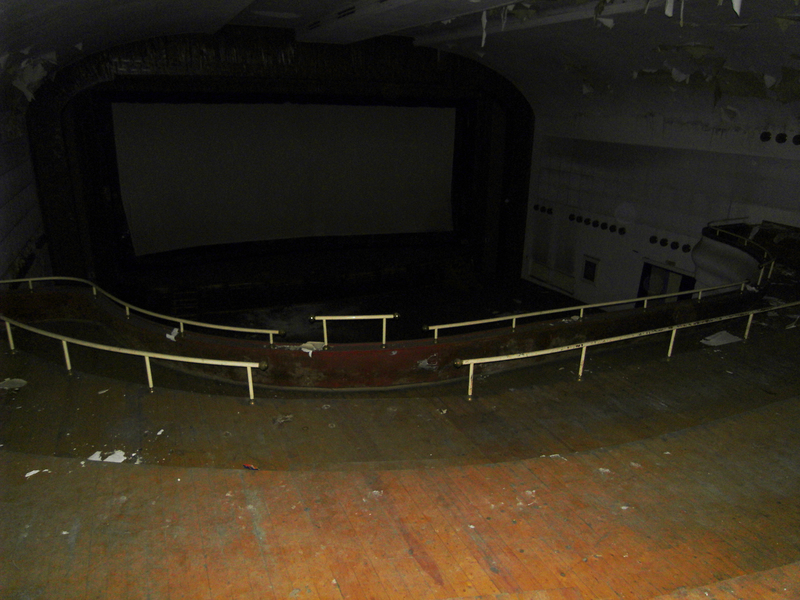 The first and once one of the most popular movie theatres in Bulgaria was officially closed down in 2003 and left to decay. Like many other similar buildings around Bulgaria, it was sold to a foreign private company and its future is unknown. 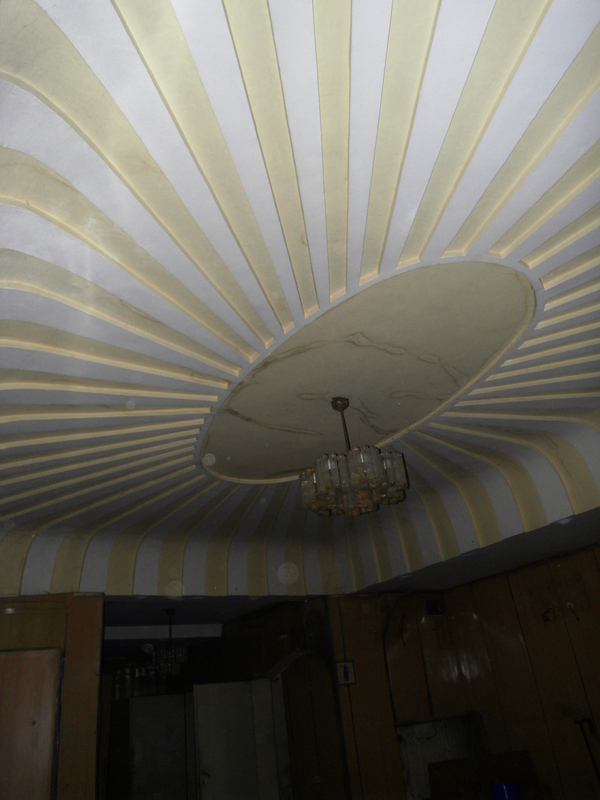 The building was initiated by an Italian, Karlo Vakaro, who lived in Bulgaria. He was a wealthy owner of tobacco factories in Plovdiv, and he decided to invest in the first movie theatre in Bulgaria. The building was completed in 1908, which is when the first movie screening took place there only 15 years after the Lumière brothers held the first film screening in the world. Soon after the opening, the Theatre became an official representative of a French company and expanded to a chain of movie theatres in Macedonia, Turkey, Romania, Greece etc. The Modern Theatre was very popular. People went there to see documentaries, mostly. Once Bulgaria started to make its own productions, it was there that the first Bulgarian movie was made and screened–in 1915. The building was renovated in the 1920s and got its Art Nouveau façade that can be seen today. After the political regime changed, in 1944, the Theatre was nationalised, as everything else. 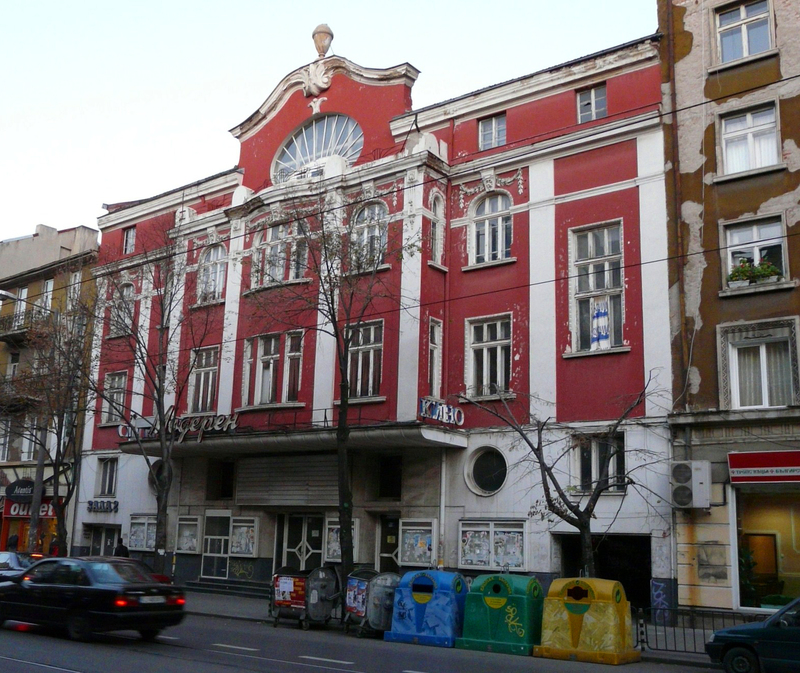 Its name was changed from “Modern Theatre” to “Tsanko Tserkovski” (the name of a socialist poet). Movie theatres in general were one of the few fun things people could do during the socialist era. For regular people, each visit to the cinema was a grand event. It became an important part of their lives. The movie theatres in Sofia numbered more than 50. After 1989 most of the theatres were closed; though some of them stayed on for a long time before they were demolished. Few were repurposed into completely different things. Most of the people, who remember those times, do so with nostalgia and sadness; they really miss that part of socialism, no matter how hard their lives were at that time. However, that wasn’t the end for the Modern Theatre. After the changes its original name was reinstated and it was renovated and painted in red. Following several shady, part-governmental transactions, it eventually became the property of a foreign company. Officially, it closed down in 2003. Now its state is abysmal–ruined and decaying. The Modern Theatre is a monument of only local importance, meaning that the owners are only obliged to preserve its façade and are free to do whatever they want with it otherwise. So, in a year or two, it will be “repurposed” and “restored” perhaps, but it will be converted into a modern office building or a trade centre. The remaining few of the Union of the Cinematographers are trying to save it by making it a monument of national importance, but they will probably fail. Oral histories for Bulgarian Nonuments will be added to the Nonument website soon. 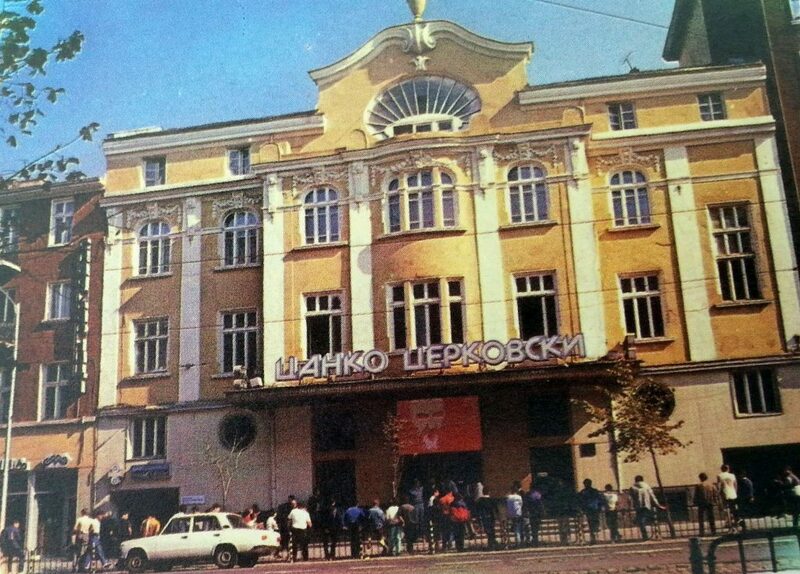 Archive image of the Tsanko Tserkovski Theatre.